It’s Katie! My kids love popsicles. It’s probably one of their favorite summertime treats. We often buy a big box, but it’s fun to make them at home too. Here are 3 fun molds to make popsicles at home and listed below are my 3 go-to easy recipes for popsicles. SAFE MATERIAL – Our ice pop molds bags made of high quality material, 100% BPA free, non-toxic, no phthalates, no bisphenol-A. USDA certified food grade & freezer safe product. Our suggestion is to place them in a cup, jar, or something which will hold them upright and then put them in the freezer, wait for a few hours and taste! NO SPILLING & NO MESS – These disposable popsicle bags can be zip sealed for your extra convenience. Forget about spilling, messy freezers and sticky backpacks. Enjoy the healthiest homemade snack popsicles no matter where you go. Our bags can hold either thick or liquid form fluids. BEST VALUE – It come with 150 popsicle molds per package. 2.36 inches wide x 8.66 inches long to the top. It comes along with a green funnel to make pouring a breeze. MULTIPURPOSE – Perfect for homemade healthy Ice pops or ice candy. 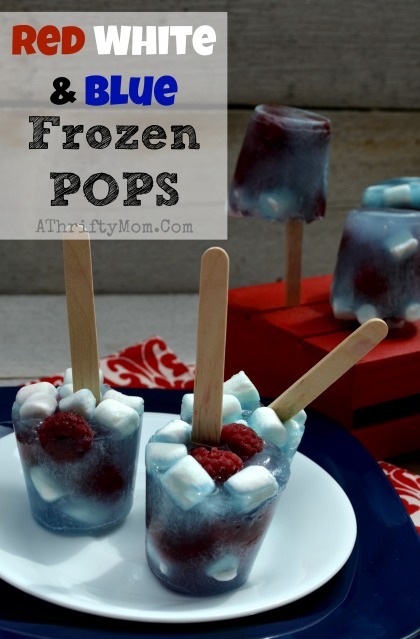 Make your own healthy Popsicles for Camping, Picnics, Snacks, Kids Parties, River / Boat Trips for a Fraction of the Cost of store bought Popsicles, Yogurt, or sugar loaded frozen treats. The possibilities are endless! CREATE YUMMY SUMMERTIME TREATS FOR YOUR LOVED ONES: With these 6 brightly-colored ice pop molds you can create so many different creamy and fruity popsicles for all your family, or friends! Extra-slim and lightweight, they can easily slide into smaller freezer spaces. No one needs to wait to enjoy a delicious and refreshing summer treat! SO SIMPLE & EASY, EVEN KIDS CAN USE THEM: Creating home-made frozen treats has never been easier! Fill up our ice pop molds with your favorite juice, fresh fruit, herb infusion, or yogurt, let them freeze and…enjoy! Our mess-free, dishwasher-safe makers are, also, very easy to clean. How cool is that? FINALLY…A SET OF POP MAKERS YOU CAN TRUST: Made with BPA free, FDA approved, Food Grade Silicone, our 6 ice pop molds are 100% safe for your kids. These heavy-duty, non-toxic, multicolor makers can make a green and fun, long-lasting addition to your kitchen. MAKE SOMEONE’S DAY: Looking for an imaginative gift idea for a special person on your list? Our adorable, colorful Popsicle makers will be loved by adults and kids alike. And why not make a gift to yourself? With these molds, you can create refreshing treats for your little angels’ birthday party, or boozy grown-up pops for your bachelorette! OZERA sturdy ice pop popsicle molds base measures 6 x 5.5 x 8 inches. The handles feature built -in drip guard to keep hands and clothes clean while smartly designed shape make it easy for frozen pop to slide out of mold. These popsicle molds comes with a free folding funnel to avoid the mess and a special brush to clean the product perfectly. OZERA 6 ice pop molds are made especially for freezing juices and other ingredients into perfect freezer pops. You can create your own unique frozen treats using juices, purees, yogurt, gelatin, fruit, ice cream, pudding, jams and jellies. Every frozen treat can be perfectly catered to your family’s tastes. It is an excellent gift for your friend or little kid. This one is super easy and my kids love them. You can use store bought lemonade, but my daughter is becoming a pro at making her own homemade lemonade. Combine 6 cups water, 2 cups lemon juice (either fresh squeezed or bottled), and 1 cup sugar. Stir to combine until sugar dissolves completely. Chill. This makes a lot of lemonade, more than you need for popsicles. So fill your molds and then put the rest in a pitcher in the fridge for dinner! You can add sliced strawberries or blueberries to you popsicle molds before freezing for a fruity lemony treat! This is so fast and easy. We get a small 3.4oz box of Jell-o Pudding mix. NOT the cook and serve kind but the instant kind. Follow the directions on the box by adding 2 cups cold milk to the pudding mix and beat for 5 min. Pour into molds and freeze. My kids love chocolate but we have a box of vanilla ready to make. Fruit and yogurt pops are definitely a favorite. We often freeze the yogurt in the tube for a cold creamy treat but when you make them yourself you can try all sorts of combinations. We often use vanilla yogurt but you can use any flavor you want. Puree the yogurt with some fruit until smooth or leave the fruit a bit chunky. Our go-to combination is vanilla yogurt and strawberries. Previous articleThe all occasion Bag for $39.99 (was $69.99) 2 days only. Next articleFunny Bathroom Signs | Free Shipping for $14.99 (was$22.99) 2 days only.